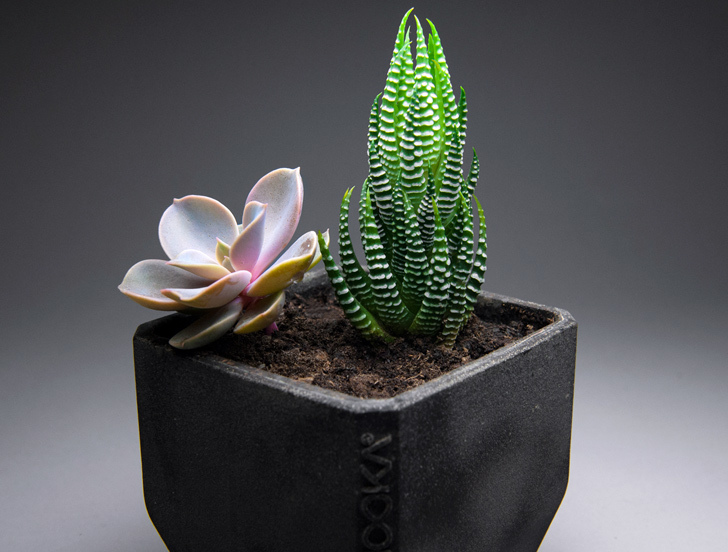 Matthew Waldman and his team at Nooka just unveiled a new line of POTHRA planters made from recycled coffee grounds! The team started experimenting with discarded coffee grinds left by consumers and discovered that, when combined with resin, each kind of coffee creates a different look and color. If you’d like to support the project you can donate to the POTHRA Kickstarter here! Matthew Waldman and his team at Nooka just unveiled a new line of POTHRA planters made from recycled coffee grounds! The team started experimenting with discarded coffee grinds left by consumers and discovered that, when combined with resin, each kind of coffee creates a different look and color. If you'd like to support the project you can donate to the POTHRA Kickstarter here!